And like that the old bloke won the Internet. 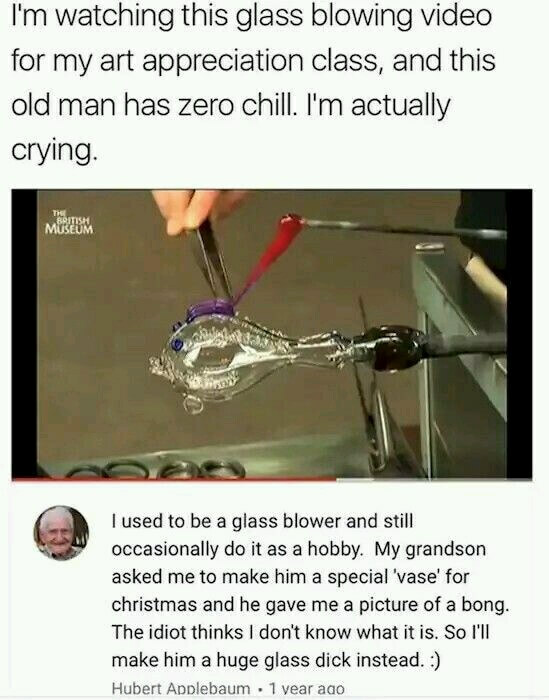 Also, damn, but I’d love to visit a glass blowing studio today. -20 again… but glass has to be melted at 1000-1500C…. uh, 2000-3000F ish?